Hairs are the most look after and focused part when it comes to your external. It is said that half of the worries of a girl are over if she has beautiful hair. Hence, it is dream of every girl to have long, beautiful, shiny and strong hairs. But unfortunately, the blessing of these hairs of their dreams is not to every girl and they’ve to strive hard to achieve that goal. 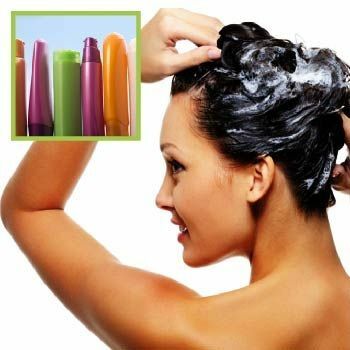 Shampoo is one of the most common products that are thought to be a magic for your hair. It is claimed in the fancy advertisements that like of a film star, you can make your hair shiny, silky and strong in just a fortnight with these shampoos. However, this impression is completely wrong. There are no such ingredients in the shampoo that make your hair look like a girl with perfect hair instead according to few researches conducted at various dermatology institutes it has been proved that shampoos are a sheer wastage of money and time. Few scientific reasons behind this research are given below. The first answer is very simple to the question that why shampoos are waste of money and it is because they contain lot of chemicals. Chemicals are mostly very destructive and with the mixture of number of chemicals, the result will be hazardous. Although you might feel that your shampoo is producing beneficial effects to your hair but these are temporary effects and with the passage of time, they’ll show their adverse effects and will prove they are wastage of money only. The second reason for the shampoos to be called as wastage of money is that both your hair and scalp are deprived from the natural oils that are produced by your skin as a necessary requirement of hair and skin due to the combination of different chemicals. In those shampoos which are said to have ZPTO formula to eradicate dandruff, this is particularly true. Another harmful chemical named as sodium laurel sulfate is also responsible for harmful effects of shampoos on the hair. This combination specifically contains sodium which comes in number two on the metal reactivity series and is a harmful and highly reactive metal. It produces worst form of hair decay as it dry out your hair and makes them dull by a rough texture and faded color. Another combination WEN will also give you answer about the wastage of money for shampoos. WEN is a combination of chemicals present in almost all shampoos and used as a replacement for other hair products including conditioners, serums, hair oils and hair gels. This terrible chemical works to produce an artificial layer outside your hair and this layer always cleans and shine after every wash and thus makes your natural hair unclean and dull which is harmful for them certainly. Another reason why shampoos are harmful for hair is that all shampoos have low pH level which means they’re highly acidic. High acidity is not healthy for human skin and hair and they should be made neutral by the use of alkali so that they became suitable for human skin and body. Due to high acidity of these shampoos, the vitamins and minerals can be destroyed that are essential to your whole body including hair and present in minute quantities. All these points mentioned above prove that using shampoo is not such a good idea and it is a wastage of money.